Probiogen Stress and Mood Balance Probiotic go above beyond the duties of the average probiotic. It not only improves the digestive and immune system health, but it also helps the body to manage stress and balance your mood. Share the post "90% of Your Mood is Affected by this Body Part!" This post is in partnership with Probiogen. Wedding planning, moving, deadlines, lack of sleep, first dates, vacation planning, overwhelming workload, job interviews, or simply the everyday hustle and bustle of life can pack on varying amount of stress! We have all experienced stress at some time or another. With the demands of everyday life, stress is inevitable. Not only stress negatively affects the mood, but it can short-circuit our immune system and make it even more susceptible to various maladies. Did you that 90% of serotonin, the feel-good chemical the body produces, is produced inside your gut? One of the ways you can take care of yourself is improving the health of your gut, especially since it’s the key to improving the state of our overall health. It was the ancient Greek physician, Hippocrates that said: “All disease begins in the gut.” This is why it has been getting the recognition that it deserves over the past few years. The “gut” is considered the core of your body’s overall health and well-being and can affect everything from your immune system and metabolism to your digestive system and mood. How can you improve the state of your gut? Probiotics! Probiotics are so tiny that we need billions in a single dose to be effective, but not probiotics are created equal. This is where it can be confusing since there so many probiotic supplements and foods on the market! Their effectiveness can vary depending on the bacterial strains they contain, the way they are made, and quality control in production. This is why choosing the right kind for you is key. 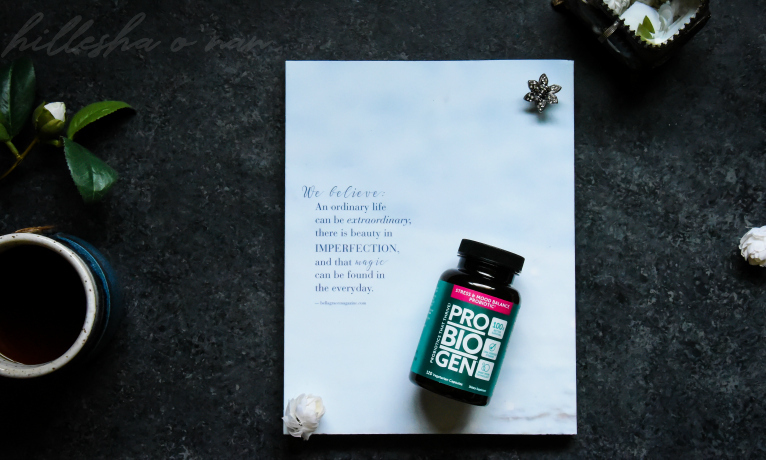 Probiogen’s Stress and Mood Balance Probiotic is the only probiotic with breakthrough Smart Spore Technology™, which is beneficial in resetting the digestive system. This helps make it 100 times better than leading brands and yogurts! 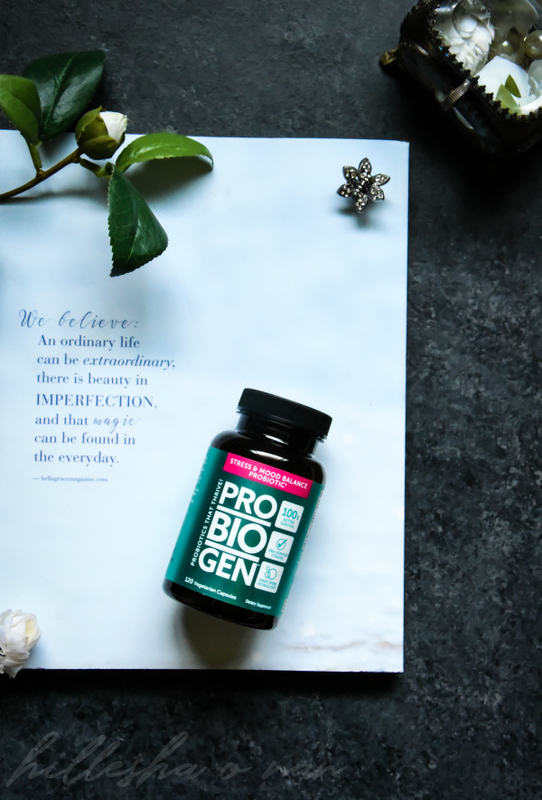 You can take Probiogen with confidence since their probiotics are free from gluten, soy, and dairy. Their probiotics also don’t contain any GMOs and don’t require refrigeration. 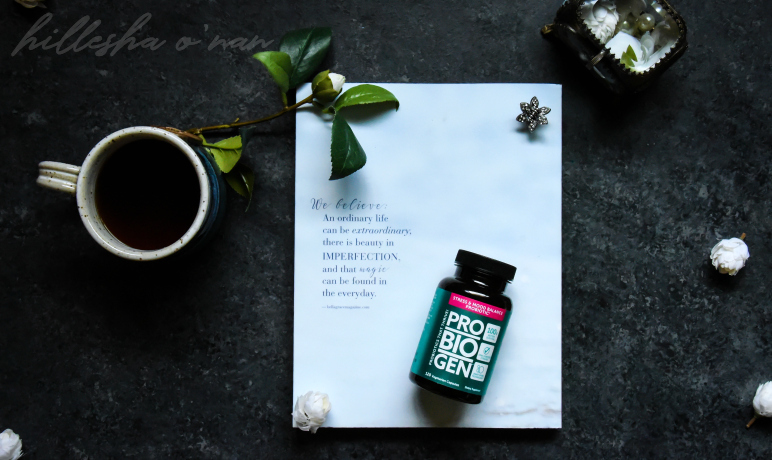 Probiogen has a line-up of six other products, including Allergy Defense, Weight Management, Women’s Vitality, Adults 55+, Men’s Vitality, and Daily Digestive Balance. One winner will receive a bottle of Probiogen Stress and Mood Balance Probiotic (a $39.95 value). My chihuahua really help me a lot. My pupper has been so awesome, thank you for the offer!! reading the Bible always helps, especially outside and hearing the birds. Yoga is probably the best thing I’ve discovered for stress. I was almost 60 years old when I started and have found one of the best yoga instructors in the country. I like to take a nice long bubble bath when I get stressed out. When I’m really stressed out a long, hot shower helps. Taking our dogs for long walks in the evening helps me deal with stress from the day. Walking and reading helps me manage my stress. Yoga and meditation works best for stress. If that fails, I go for chocolate ice cream.